How sweet are these three bunnies? 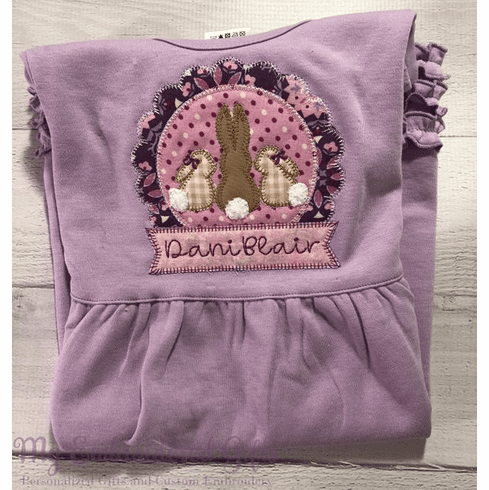 This cute personalized dress is perfect for Easter. We use boutique quality dresses from ARB Blanks or Blossom Blanks depending on availability. All of our embroidered clothing features Cloud Cover on the back side to protect your child's skin for a rough surface. Available Dress Sizes: 12 months through 10 See pictures for sizing charts. Production Time: Currently, orders are taking one to two weeks to complete.